Gluten free is important for many, and it’s estimated that 1 out of every 100 people has a diagnosed gluten allergy with many more going undiagnosed. On top of allergies are intolerances, and while intolerances aren’t typically as serious as allergies, they still come along with plenty of unpleasant or disruptive symptoms those with them would rather avoid. As gluten sensitivities and allergies are becoming more well known, a need for great gluten free food is becoming more important. • Appetizers – We have 3 delicious appetizer picks on our gluten free menu, including our Bruschetta on gluten free toasted bread with goat cheese, our Spinach Artichoke Dip, and our Scamorza. • Salads – If you’re looking for something fresher to start your meal, our gluten free menu is packed full of a variety of salads to choose from. Greek salads, spring mixes, and dinner salads are just some of our most popular gluten free menu salad picks. To go with your salad, we also have our gluten free Tomato Basil soup! 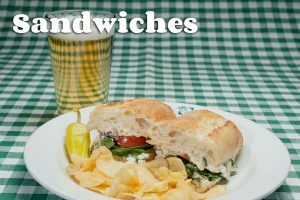 • Sandwiches – What is a great lunch without a great sandwich? 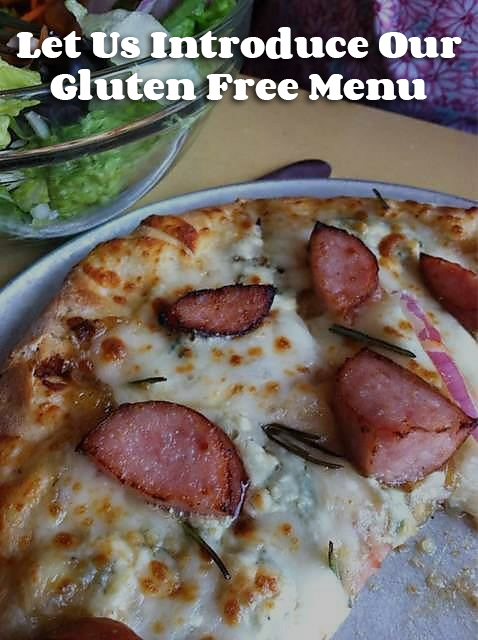 Our Bucceto’s gluten free menu has 5 different sandwiches to choose from, all made with completely gluten free ingredients. • Pasta dinners – Few things are as comforting as a warm pasta dinner. Our gluten free pasta dishes are made with incredibly flavorful gluten free spaghetti pasta, and topped with your choice of gluten free signature sauces and proteins. With 11 pasta dishes to choose from, you’ll have something new for dinner for more than a week. • Pizza – Our Smiling Teeth pizzas, classic combinations, or your own creations are made on a rice-flour based crust and run for the same price as their non-gluten free counterparts! To please everyone at a big party, a gluten free pizza is just what you’re looking for. • Dessert – If you’re craving a great gluten free dessert, our Chocolate Torte is sure to satisfy. This tasty confection is completely flourless, but still rich and decadent with each bite.